the rest you can keep. This website uses google analytics and facebook. Please read the Legal Notice or in the privacy statement legal information about these service (only in German)! When and where the ‘Dogscooting’ has emerged, one cannot determine exactly likely. In Europe, New Zealand and Australia, the sport has known since the 1980s. Daphne Lewis describes in her book (Dog Scooter - The Sport for Dogs Who Love To Run), an email from Tim White, a successful musher in the 1970s, in which he writes down his knowledge of the sport since the year 2004 in Australia. What is the fascination of scooter riding? It really works well with the bike or not? 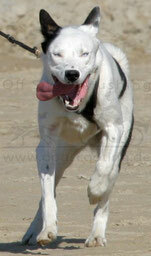 Dogscooting is one of the three main directions of the sled-dog racing, the "dry land mushing”. The other two forms, "Nome Style" (with the Huskies) and the "Nordic Style" (with cross-country ski and a sled named ‘pulka’) are practiced on snow. 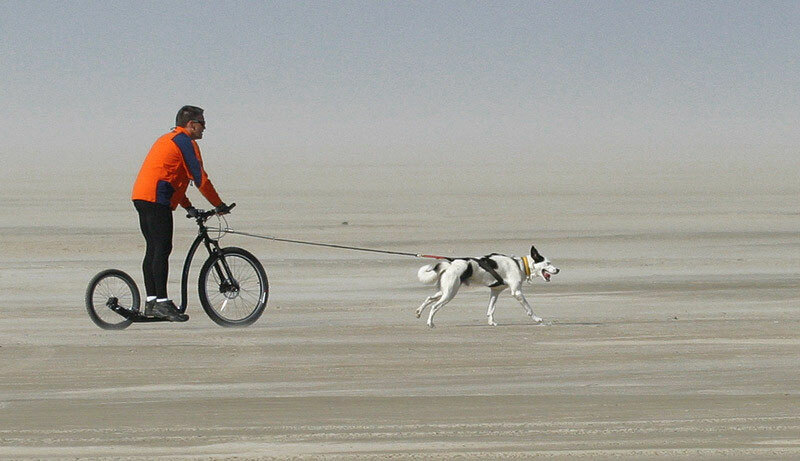 To "Dry Land Mushing" of course, the disciplines are strained with the car driven training (also known as "Off-Snow-race”)," Canicross "(jogging with a pulling dog) and the Bikejöring (dog pulling a bike).